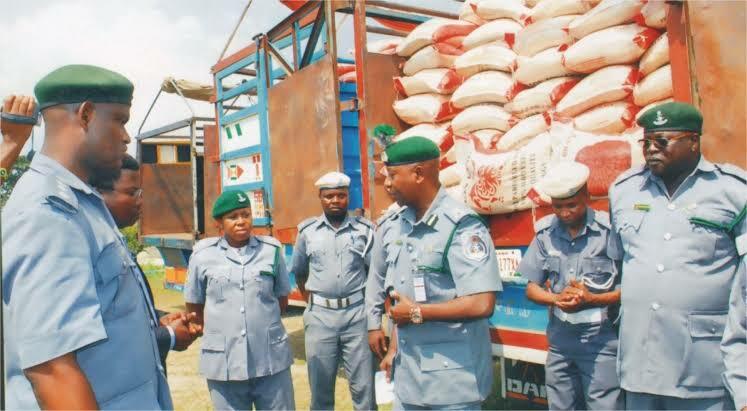 In Imo: 400 bags of foreign parboiled rice, concealed with bags of poultry feeds and palm kernel shell was seized by the officers of the Nigeria Customs Service, Federal Operations Unit, Zone ‘C’, Owerri, Imo State. On Saturday, the Customs Area Controller, Mr Kayode Olusemire, stated that the bags of rice were smartly concealed with the items to deceive the officers of the unit at checkpoints. Olusemire complained why the love of Nigerians for foreign rice, when the country’s rice milling factories were producing fresh, affordable and more nutritious rice.